Performers include: Adam Richman (host) with chefs Cat Cora, Elizabeth Falkner, Duff Goldman, Lorena Garcia, Jet Tila, and G. Garvin. 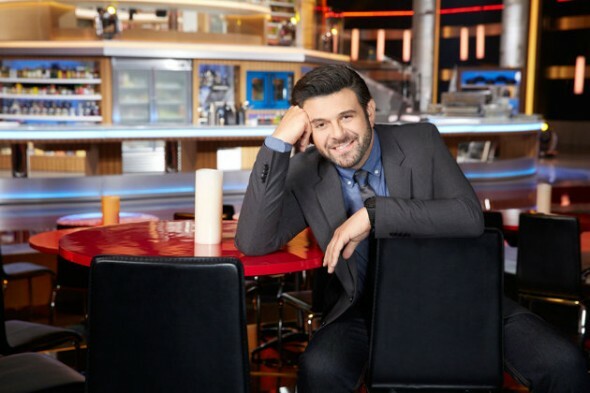 Hosted by Adam Richman, this cooking competition gives homegrown amateur cooks a chance to test their skills against professional chefs. Every down-home cook has a signature dish or secret family recipe. In the show, the home chef and five professionals prepare that same dish in an attempt to win over a dinner party made up of regular people. With each victory, the cash prize gets bigger and bigger as the home cooks rise to every challenge and outcook the professional chefs. What do you think? Do you like the Food Fighter TV show? Do you think it should be cancelled or renewed for another season? PLEEZ KEEP IT. OUTSIDE OF AMERICAS TEST KITCHEN, THIS IS THE BEST COOKING SHOW I HAVE EVER SEEN. IF THEY NEVER SHOW IT AGAIN ON NBC, THEY ARE NUTS AND I WILL GO NUTS! Please bring back Food Fighters! it is such a different show, and very entertaining. I always looked forward to it being on. Please don’t cancel this show! I like food fighters! Please don’t cancel!! I love Food Fighters! I want to be on it too!! Please don’t cancel this show! KEEP, KEEP, KEEP FOOD FIGHTERS – EXCELLENT SHOW — REALLY LOOK FORWARD TO NEW SEASON!!! I Would love to come on your show and win all of the money and leave and run away from seattle washington for good, I Really love your show and watch it each and every week.